This kit contains instructions and materials to create eight unique Brainteaser Centers in your classroom. Students build problem-solving and critical thinking skills as they play through the eight Brainteaser Centers, using hints to help scaffold learning as needed. The “Aha!" 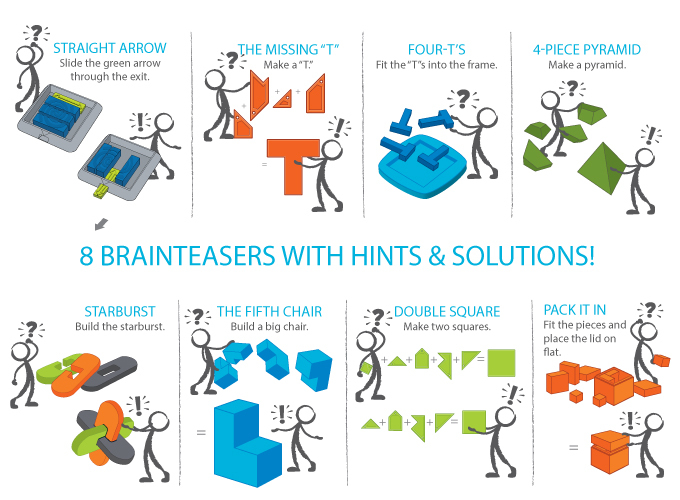 moment that comes from solving a brainteaser encourages students to exercise logic in new ways and builds confidence to take on more difficult challenges.